Our Microsoft Data Warehouse Architect. 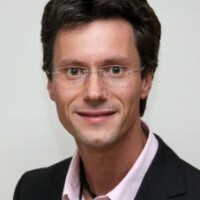 Markus Thomanek is a data platform technology specialist of Microsoft Germany. After his studies of computer science Markus worked 8 years for Microsoft Consulting Services. In this role he architected and implemented Database and BI projects at German enterprise customers. For more than 2 years he assists customers within the decision for Microsoft data platform products around Microsoft SQL Server. He has been a speaker at several conferences and conventions. He is our Microsoft BI evangelist.